I want to show you this new sticker monthly program where they send you sheets of different stickers every month. 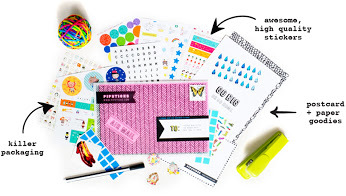 You can choose from either 7 sheets of stickers and stationary for only around $10 a month or 15 sheets and stationary for just under $15 a month. This is the cutest gift idea for kids. Who doesn’t love stickers?!! In this months I received a sheet of scratch and sniffs that are just like the ones from when I was little along with 14 other cute sheets.You get different sheets every month and they are all cute. Check them out here You still have time to get Octobers pack.if you join in the next couple days. These are great for boys and girls. Below is the video of what I received in Octobers pack.